Mike Sloan, owner and head butcher, has more than 40 years in the meat processing business offering his award-winning services to process your meat the way you want it. 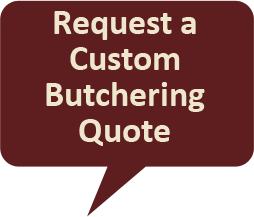 We we offer custom curing, butchering and processing of your beef, lamb and pork. Mike uses the same prized recipes that he uses for all the specialties in the retail store. All packaging will be vacuum wrapped at no additional cost. 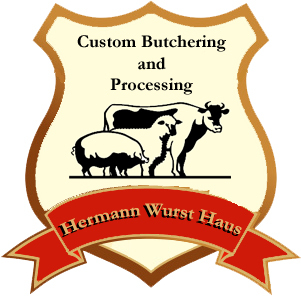 All of our meats and our facility are state inspected to assure high quality and proper handling. Sorry we do not accept live animals for slaughter, however we do offer on-farm slaughtering or we can recommend a local slaughtering facility. There are definite advantages to on-farm slaughtering such as: we come to you, no hauling of your livestock, less stress on you and your livestock, and guaranteed to get your own meat back. For scheduling and pricing information please call us at 573- 486-2266 or email us.